This is the first release of our brand new label. 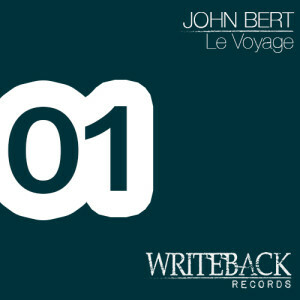 John Bert aka GPR begins a new musical path characterized by deep and tech sounds. “Le Voyage” is a mental journey that will take you into a cycle of hypnotic sounds associated to power beats that sure will take you on the dancefloor. All tracks are written and produced by John Bert and mastered by Stefan Betke @ Scape Mastering, Berlin. Copyright control P+C Writeback Records, 2013, www.writebackrecords.com, Made in EU.